Hello, all! I hope you had a great weekend! 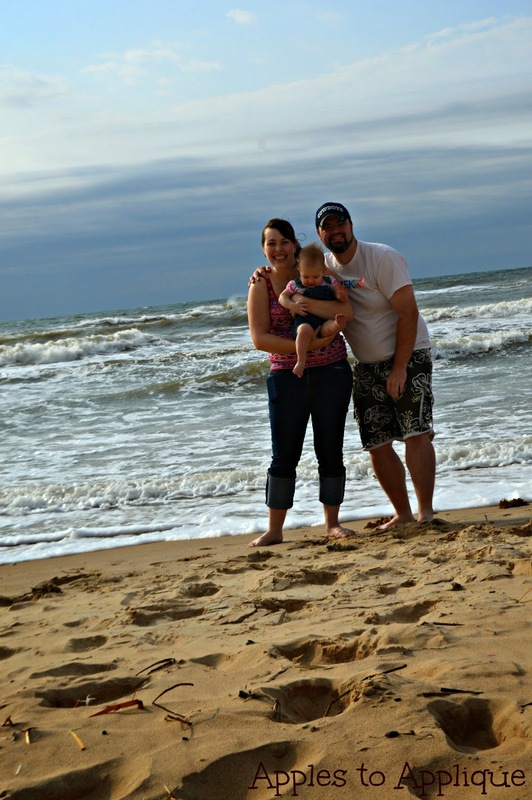 Hubby and I took our little munchkin to the beach on Saturday. 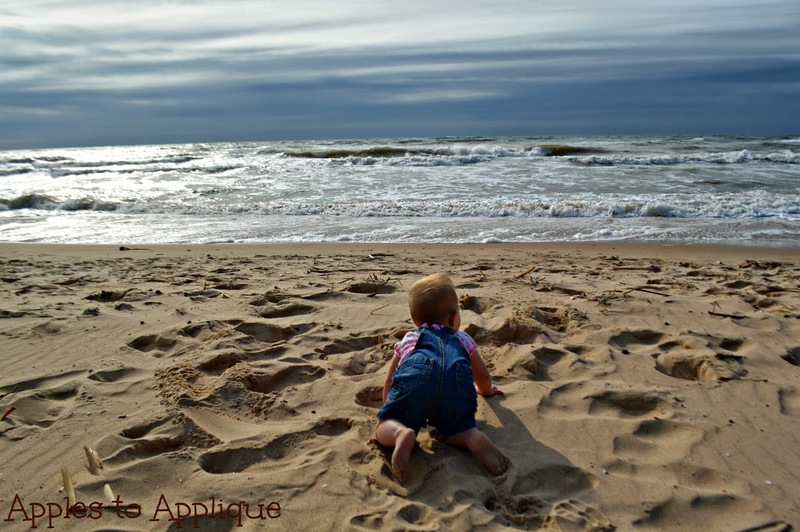 We were in desperate need of a little getaway, and Baby Girl had never been to the beach, so off we went! 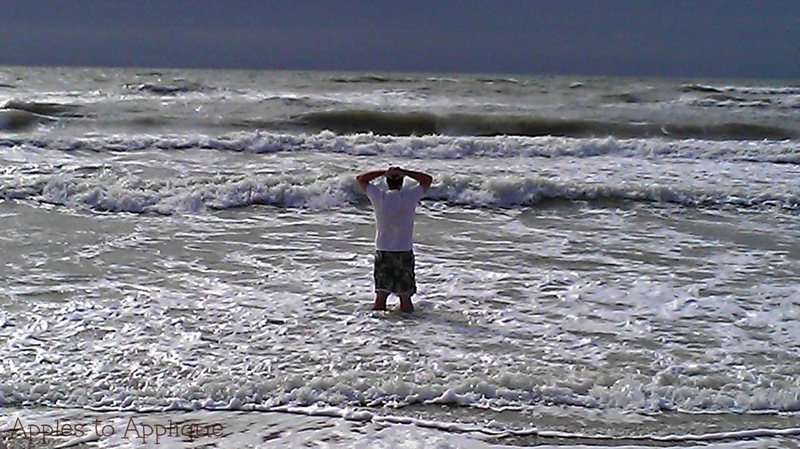 We got in some much needed reflection and prayer time. There's something amazing about talking to God out in nature. Baby Girl had a blast! 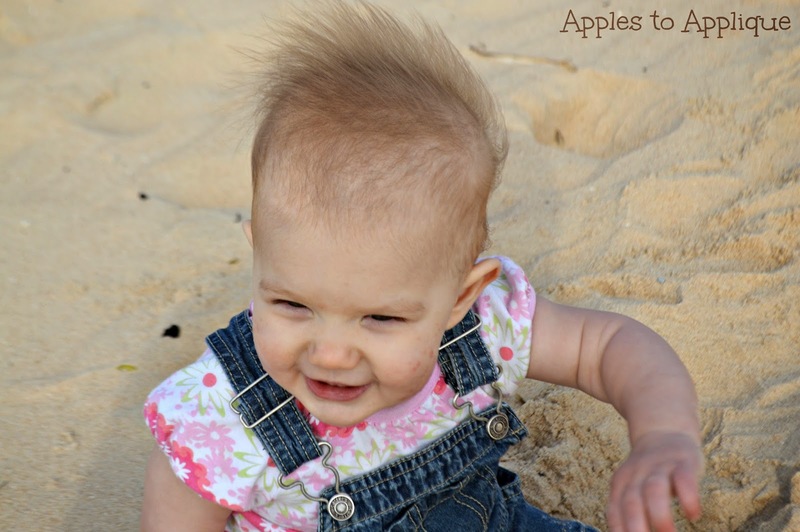 She was a little unsure about actually being in the water, but crawling around on the sand didn't bother her a bit! I know I'm her momma, but I seriously think this little girl is one of the cutest kids ever. Okay, before I bore you with the other 60+ pictures we took that day...on to the actual purpose of this post! Vintage fabrics are so fun; I especially love fabric with that antique sepia look. Finding them, however, is not always easy, as I discovered when I decorated my college bedroom with vintage shoe decor. That's when I learned this easy technique to take white fabric and turn it into a faux vintage fabric. Curious? 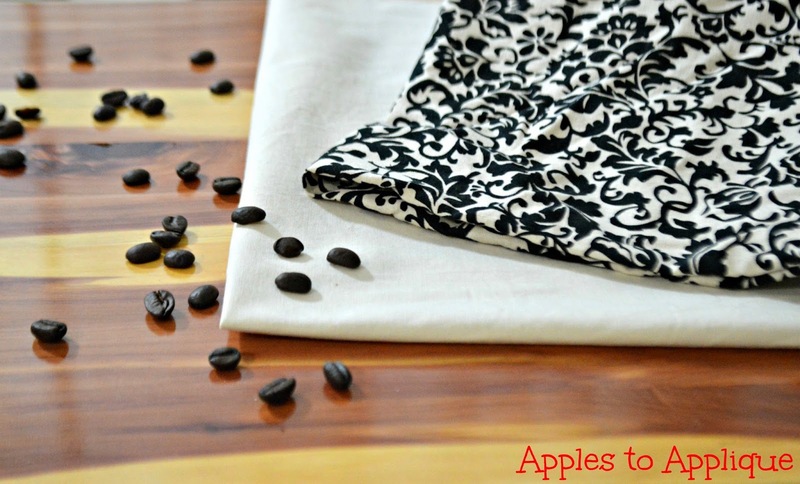 Go visit Crafty Allie to discover the technique of creating faux vintage fabric! Looks like y'all had a BLAST! I'll have to head over to Crafty Allie and check it out!